This post is to inform the avid readers of Tbeartravels that we are still on the road even though we have not done a posting for a while. The reasons for not posting are various: unreliable internet connection, no internet available at all and sometimes the surroundings are not conducive to writing. 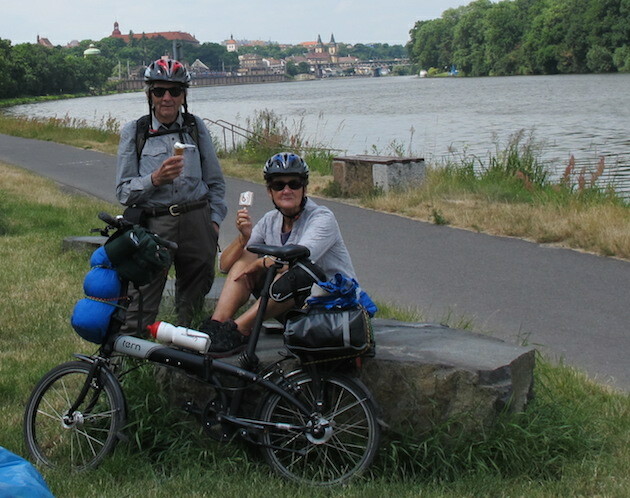 Posts to come include the cities of Dresden and Berlin, the Spreewald World Heritage area and our bike rides along the Oder-Neisse rivers following the Polish and German border. On the bike path between Melnik and Decin, Czech Republic. We do hope to get back into our posting routine soon so please be patient.